Deeper and Deeper-Another standout cut/track/song from underrated and underappreciated opus Erotica. Underneath the Madonna smile is a certain Ciccone Kabbalah sadness! I dedicate Deeper and Deeper to the following departed friends on this sad day in rock & roll. My uncle Tim Line, John Lennon, Dimebag Darrell Abbott and my colleague Olivia Barker-who was a devoted Madonna fan! I miss you all-Rock in Peace! the album isnt underappreciated at all, its in fact a lot of fans favourite. I love this whole era of her, and i wonder if it had of been recieved well (in terms of like her other albums had at that time) were would she of gone creatively…..i think the writer means it as a “lost” classic maybe? 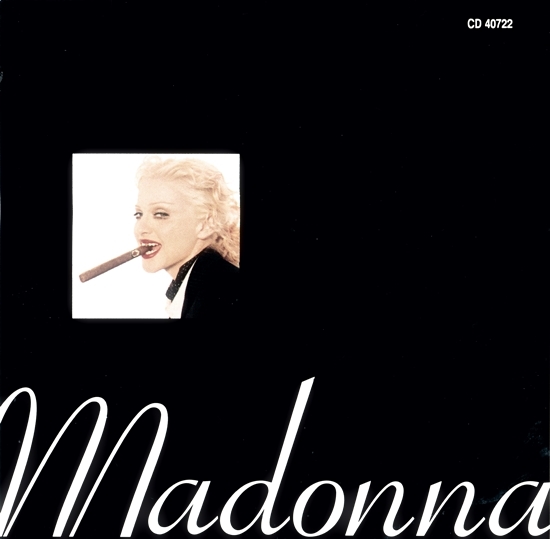 …and yes i wore out my cassette single of this…..it was warmly embraced after the coldness of “erotica” single, but my fav, “bad girl” got loss in the backlash. Erotica (the single) did feel quite dark and there was a definite feeling of distance, or coldness, that she exuded with it…probably quite intentionally I’m sure. But it was territory she hadn’t really mined before. Sure, she had some prior singles that could have been taken as being dark…Live To Tell, Oh Father…but they had equally strong emotional and personal elements to them as well. With Erotica she moved towards character-driven songwriting, so I think it took some time for some fans to fully connect with it. Deeper & Deeper works on both levels, so it was probably a bit easier to swallow. Bad Girl was my favorite song on the album when I bought it, and I still love it. The whole album is great from start to finish, and I think its long-term high regard by fans has made up for the success it may have lacked (compared to her previous albums) when it came out. Its legacy has really improved over time.